A pencil box will be provided by the classroom teacher for supply storage. Please consider providing the above classroom supplies. 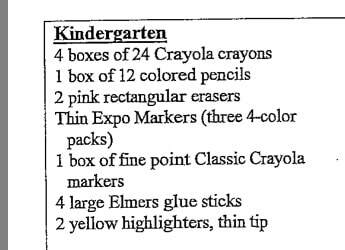 This is a suggested list of supplies that you may want to provide within the first weeks of school. Click on the link below to access online link to purchase through local vendors.